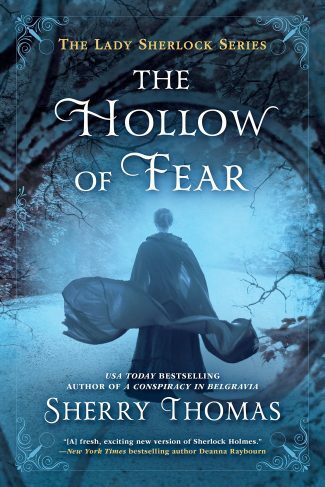 The Hollow of Fear by Sherry Thomas is the third book in the Lady Sherlock series featuring Charlotte Holmes. 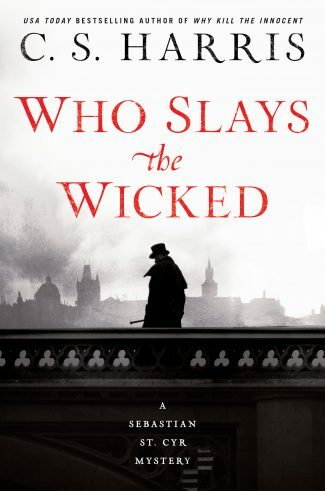 Charlotte Holmes’s cover is nothing if not impressive: far more than being the great detective’s amanuensis, she is the embodiment of “Sherlock Holmes, consulting detective” to her clients. Her supplicants think she speaks and acts on Holmes’s behalf, but Charlotte relies on her extraordinary skills of observation and detection to solve crimes, assisted by her staunch ally, the redoubtable Mrs. Watson. Charlotte Holmes’s reputation precedes her wherever she goes, like the evening when she meets the nemesis in the Sherlock Holmes pantheon. The Hollow of Fear is an intensely personal case for Charlotte. 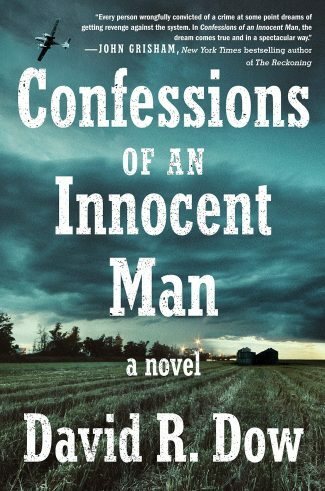 Her “dear friend Lord Ingram stands accused of the murder of his estranged wife.” Lord Ingram has known and cared for Charlotte since they were adolescents. He has the utmost respect for her. The woman was a holy terror: the sweetest face, the pillowiest bosom, and a perspicacity that stripped a man naked in seconds. It is common knowledge in society that Lord and Lady Ingram are estranged. The story is that Lady Ingram is residing in Switzerland for the sake of her health—a polite fiction that everyone accepts. But as Charlotte’s sister, Livia, and two aristocratic busy-bodies, Ladies Somersby and Avery, learn, Lady Ingram never left England. At last they stood at the edge of the ice well and stared down onto Lady Ingram—Lady Ingram’s body—lying on top of the wood shavings. Someone patted Livia’s hand—she’d been clutching at Lady Somersby’s sleeve, with fingers that had been chilled to the bone. Charlotte disguises herself as Sherlock Holmes’s brother Sherrinford Holmes to stay at Stern Hollow, the Ingram estate. It’s a convincing disguise, which she dons because she believes that only she can prove Lord Ingram is innocent. The young man in the waiting room sported a thick but well-groomed beard, topped off with a meticulously pomaded handlebar mustache, the ends of which curled up nearly an inch. But when Lord Ingram had made it known that Sherrinford Holmes was brother to Sherlock Holmes, who, as a fictional character, could have no flesh-and-blood brothers, he had announced to Treadles loud and clear that Miss Holmes was among them. Had, in effect, asked him, out of friendship, to not breathe a word of her presence. Because Chief Inspector Fowler was not the only one conducting a murder investigation at Stern Hollow. 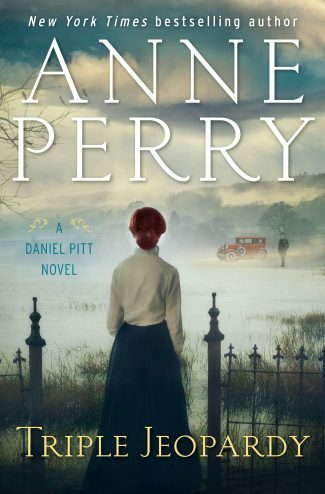 Miss Holmes, despite Treadles’s unease at her unchaperoned attendance, was not there to engage in an illicit affair with Lord Ingram—or at least not only that—but to find out the truth of what had happened to Lady Ingram. To say more would be to deprive readers of the pleasure of watching Charlotte, aka Sherrinford, at the height of her powers. Charlotte Holmes is a relentless pursuer of the truth, never allowing herself to be deterred by the discomfort of those closest to her. 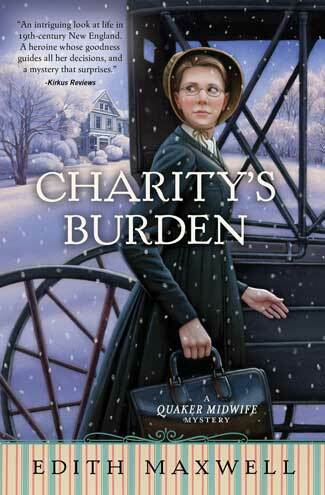 When a young colleague asks her if “it will be all right,” Charlotte muses that outcomes are often not tidy. Charlotte understood enough of human emotions to know that the girl wished for reassurance, on the part of someone she trusted to get to the bottom of the matter. But if they’d learned anything from the debacle with Lady Ingram, it was that truth was sometimes no one’s friend. That getting to the bottom of the matter could shatter bonds and upend lives. Those closest to Charlotte sometimes inwardly accuse her of not understanding “the full spectrum of human emotions.” Charlotte knows that is not true—unfortunately, exemplary detectives often give those they love “the opposite of what they wished for.” The Hollow of Fear is an absorbing tale of detection, with a fascinating, iconoclastic woman at its core.